Before you dive in and take out a tax refund anticipation loan, there are some important things you need to know. No loan should ever be taken out lightly, without thinking about how it will impact your finances, what it will cost, and how you will use the money. Loans can be great for getting extra cash, but understand what you’re getting into so you can make the right choice and be a smart financial consumer. 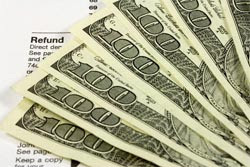 A refund anticipation loan represents money, no matter what you need that money for. This is the basic purpose, whether it’s related to taxes or not. When you need money, this loan can provide it. A lot of people use these kinds of loans to cover daily expenses until the next payday comes around, but others use the cash from these loans to pay for sudden and unexpected expenses, or to pay down debt from more expensive sources. You can use the cash any way you want. Although these loans reference taxes and refunds, you can actually access and get approved for refund anticipation loans at any time. During tax season, before the new year begins, or even well after traditional tax season is over, you can get this loan. You don’t even have to have a refund coming from the government to get approved. You just need to apply and show that you have a job and an income that allows you to afford this small loan. A lot of people like to use these refund anticipation loans when they actually have a refund on the way. It does show that you will eventually get the money you need to repay the loan, but you can also get approved on the strength of your job history and income. This means that credit score is not an issue for our lenders. They don’t do traditional credit checks to approve lenders, so you can have a lower credit score and still get the loan you need. Some people who could really benefit from this type of lending too often avoid getting a refund anticipation loan because they assume they can’t afford the costs. While it’s true that a refund anticipation loan may have higher interest rates than a bigger bank loan, there’s a good reason for that. This loan is a short-term loan and the amounts of the loans are typically small. Even with what seems like a high interest rate, the overall expense of the loan is small and reasonable. You can probably afford this loan, so calculate the cost before you reject it as too expensive. An unsecured loan is one that is obtained without the use of property as collateral for the loan, and it is also called a signature loan or a personal loan. We realize difficulties come up between pay periods and you need a fast cash. We are here to help with an unsecured loan. We know how to get you the money you need when you need it. You simply pay the money back when your next paycheck comes. While we are not a lender, we have a network of certified lenders and with a simple and easy unsecured loan application and we will match you with a lender for your financial need. We take all the worry out of getting an unsecured loan by searching our substantial network of lenders to find an unsurpassed arrangement. When you apply for an unsecured loan you will be partnered with a lender, the lender will contact you to finish the borrowing process, review the terms of your loan, and discuss repayment options. The money will then be deposited electronically into your bank account. When the loan is due, your unsecured loan payments are automatically deducted from your bank account by the lender. 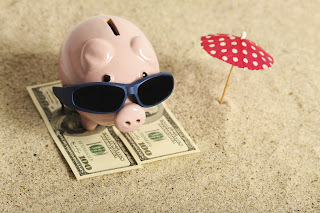 We help take the stress out of the loan process so you can get caught up and enjoy the summer. If you are in need it could not be easier to get an unsecured loan. An unsecured loan is simply money that you borrow without having to use something of value that you own as collateral like a car or house. 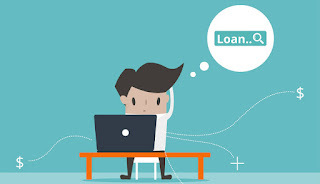 We do not offer loans but connect you to a network of lenders that compete to offer you an unsecured loan. You can be assured that all lenders in our network of lenders will disclose all terms of the loan with you and you'll know exactly what your loan will cost you and exactly when your loan will need to be repaid. Most importantly, there are no hidden fees and all lenders are speedy and forthcoming. The unsecured loan application process is easy and approval only takes minutes. 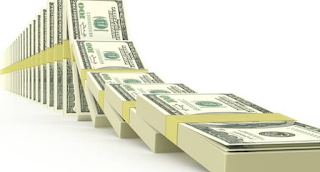 When you get an unsecured loan, you are given a lump sum of money with no collateral required. If you need to take control of your finances or even to gain collateral consider an unsecured loan. Quick Cash To Go offers small unsecured loans, usually for $100 to $1,500, which is designed to meet your financial needs until your next payday. Essentially, you are making out a check for the advanced loan amount, plus a fee, to be held until your next payday. 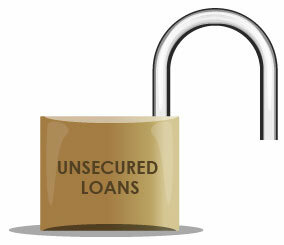 Unsecured loans require a short application and the funds are deposited directly into your bank account electronically. Our unsecured loans are designed to help get you through your financial crisis. We are here to help you find a lender and get you the cash that you need in a hurry. We present your completed application to our vast network of certified lenders in order to find a lender that is most likely to approve your loan. An installment loan is a loan that is paid back over time with a set number of planned payments. Typically, at least two payments are made towards an installment loan loan. The term of loan may be as long as a few years or as little as a few months. Additionally, installment loans are depicted by the equal payments that individuals pay back each month to the lender. Each installment or payment schedule is arranged prior to the loan being finalized. 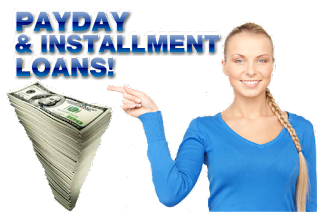 Usually, installment loans offer larger amounts of money than payday loans. The benefits of installment loans include; obtaining more money than other loans, easier refinancing for smaller amounts, and they provide solutions for long-term cash needs that individuals prefer to pay back in increments. There are important differences between installment loans and payday loans and understanding these differences can help you as a borrower determine the best loan for your needs. While everyone needs extra funds from time to time, it is essential to be clever when looking at your funding options. The advantages of Installment Loans include anticipated payments on a monthly basis. Additionally, there is a fixed interest rate when you take out an installment loan. Your payments will be set up at the time you take out the loan so your payment will always be the same. You will know exactly how much to pay out of each paycheck. Installment loans also offer longer terms. Installment loans are usually longer since it takes time to make the monthly payments. Furthermore, installment loans are fast and easy. You can usually get the money deposited directly into your account in a couple of days or even hours after being approved, or you can get cash. These loans are repaid back over time. Lenders work with borrowers to make sure that the proposed monthly loan payments are reasonable and manageable. Lenders evaluate the borrower’s ability to repay a loan prior to funding it. Green Leaf Loans also works with people who have poor credit, unlike customary lenders. 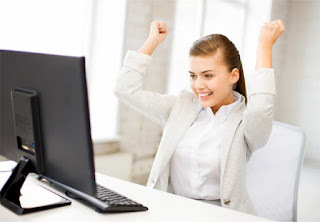 Installment Loans are the smart way to attain the cash you need, in a hurry. Due to the flexibility of direct lender Installment Loan’s repayment terms, you’ll have a longer repayment time to pay back the loan amount. Simply fill out a short application and let Greenleaf Loans help you get an installment loan today. We connect borrowers to lenders and stay with you through approval and then your approved lender will help you through all of your financial needs. Fill in the required information to begin and get cash now. After you have secured an Installment loan if you make on time payments we report that data to credit bureaus. By making on-time payments every month, you can build your credit history and credit score over time. Not only can one of our installment loans help you out of a tough spot it can help you start building a better financial future.